Work written by E. Lyric Johnson and myself. We share the creative process 50-50. Mingle with dreams, walk with stars, and air each others body out. Juice mix… thick cream, cloudy liquid, sweat and spit… You know its addictive when we mix it up like this! When I’m in you, I’m froze in time. watching your body shake, watching the face you make. On our knees, under me, even you on top of me. I can feel the end coming soon. let’s go for once more after this. As I feel the heat from your lungs…. I feel that last growth inside. 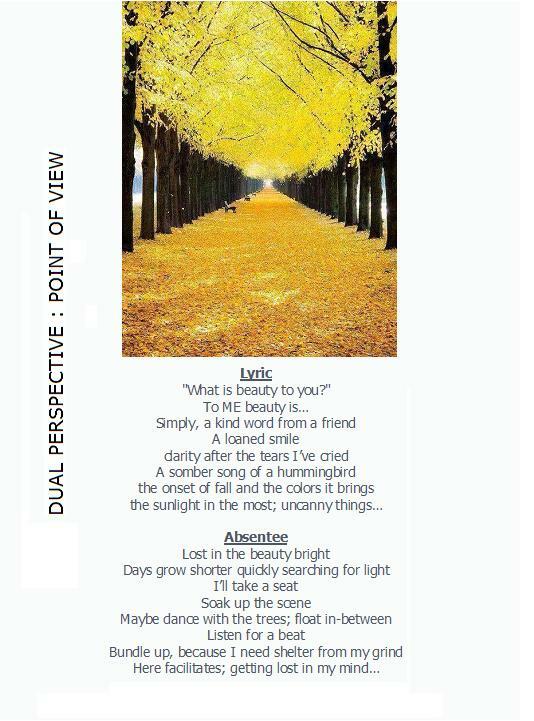 Well this will be the first piece of writing by “Dual Perspective” for 2013. I know anyone who has wanted more can appreciate this post. I have posted it to my Facebook Page Notes. Click the link and log in to your FB account to see the page. So please drop by and check it out and connect with me on FB and Twitter. over the thoughts of what I want to do to you…. all that I can to you! tingling for the touch of chest..
can’t focus, I’m starting to sweat…. I’ll give me and take you…..
Baby I’m in “skin to skin” mood.